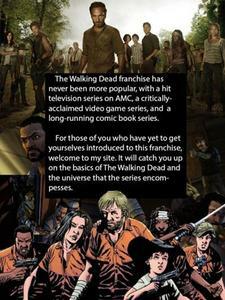 Hello, I am working on a new fan site for the Walking Dead. This site will focus on providing an introduction to the franchise, avoiding any spoilers and simply allowing those who aren't familar with the franchise to get a good idea of what the Walking Dead is truly about. Keep in mind, that this is currently only a prototype of the site and a temporary url. I've only just started construction on it and probably won't be finished until winter. I'm looking for feedback and the opportunity to advertise it to a few Walking Dead fans.